LOCATION - The property is located IN THE REGION OF Bydgoska and Daleka streets, between the Daleka Street and Elewarr facility, in the industrial area of the town. 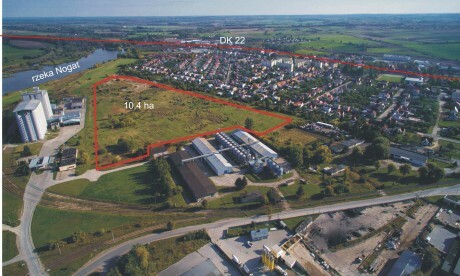 It is attached to the Malbork Special Economic Zone established in 2003. It lies 4 kilometers away from the railway and bus station as well as from the town centre and 2 kilometers away from the national road no. 22 Elblag – Gdansk (accessible through the Daleka street). The site is situated in the immediate vicinity of buildings destined for warehouse and industrial purposes.